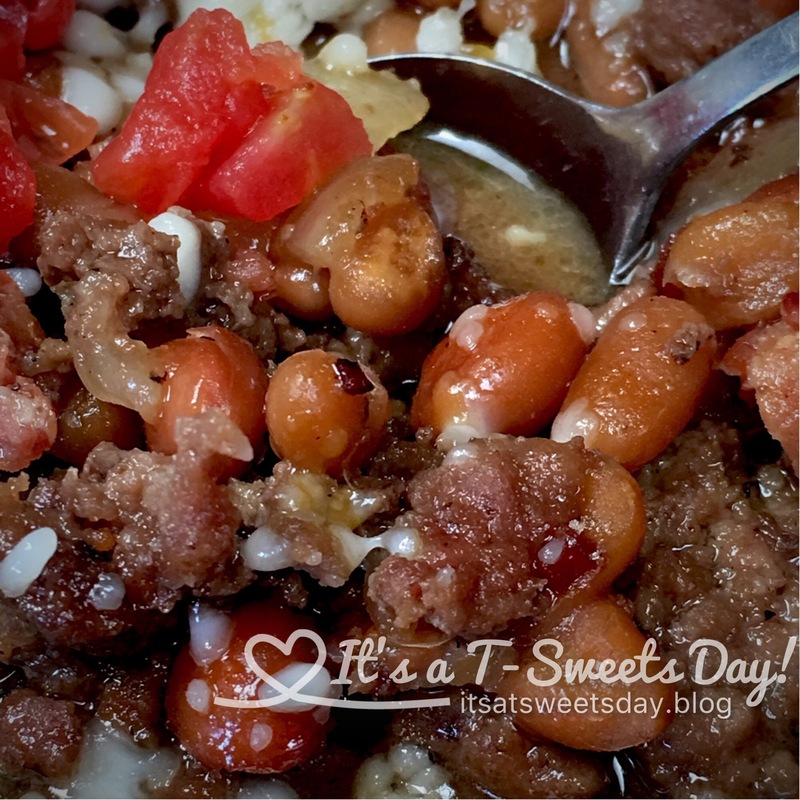 Grandma Florene’s Old Settler Beans﻿ – It's a T-Sweets day! 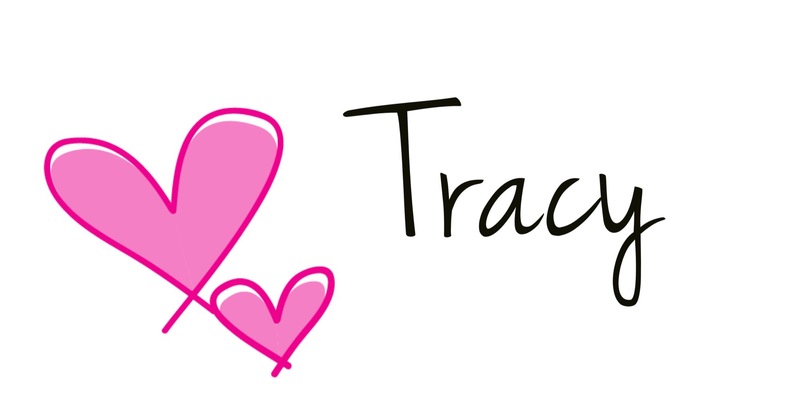 Published on March 22, 2017 March 22, 2017 by Tracy @ It's a T-Sweets Day! Florene was a dear friend of mine. She was the neighborhood grandma. I loved her so much. She taught me to quilt, sew, and cook. She was always going about delivering food and visiting with the other ladies in the area. She left a huge hole in my heart when she passed away. These beans were her very favorite meal. She constantly talked about them and shared them with family and friends. I was one of the lucky few that she actually shared the recipe with. It is a golden memory for me every time I make them. This recipe has passed the test of time. She loved it, I love it, my kids love it, and I’m sure you will too! 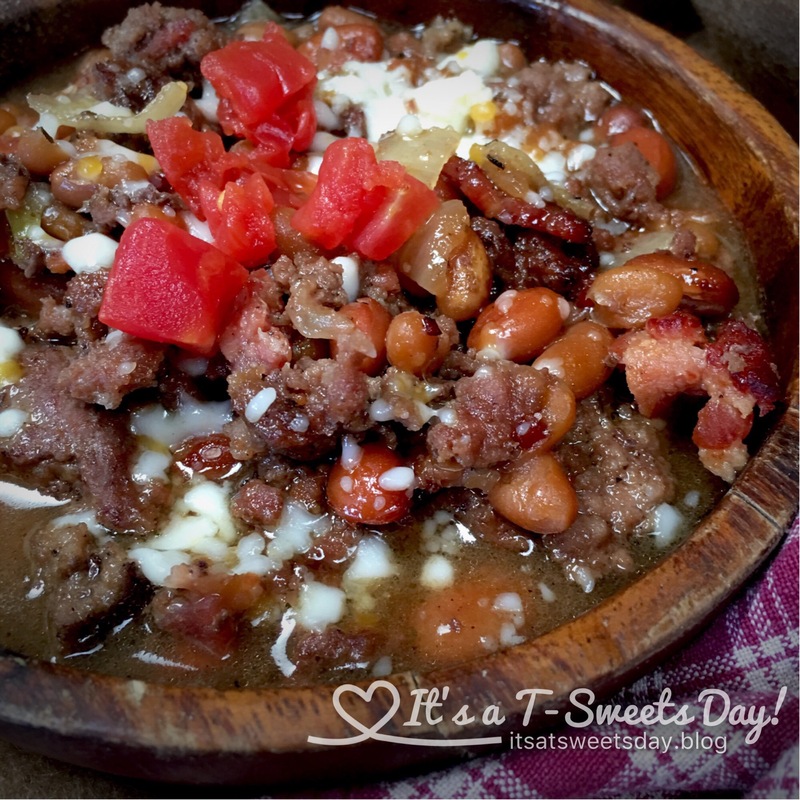 I mean, really… you just can’t stop with one bowl of these slightly SWEET, beans. They are so delicious!! Top them with a sprinkle of cheese, and spoonful of salsa and you will be taken back to yester years. In a large skillet, cook bacon. Remove and add hamburger and chopped onion to brown. Chop bacon in small pieces while meat is cooking. 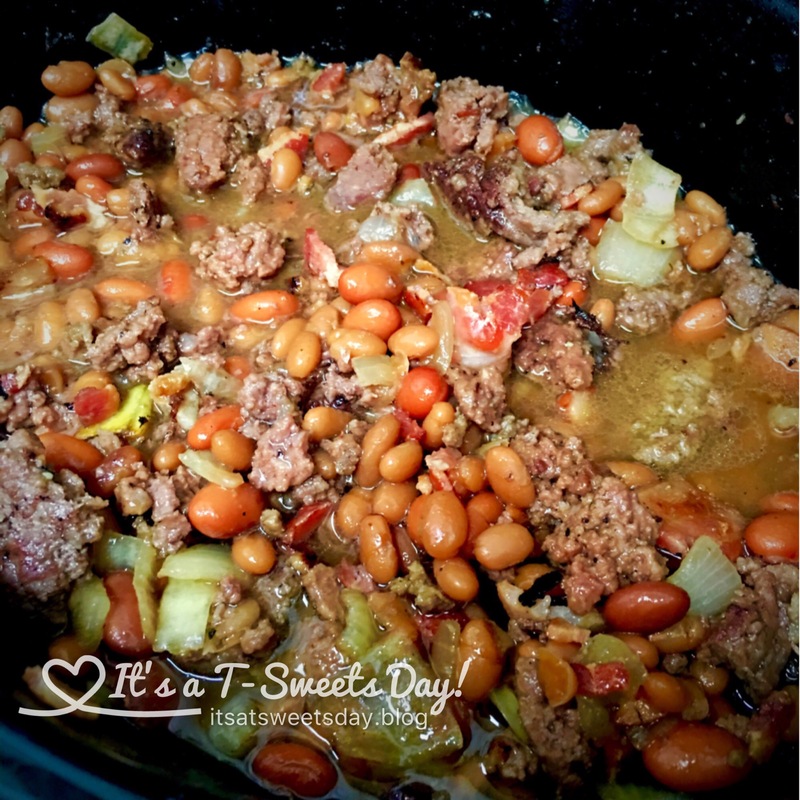 Mix all of the remaining ingredients in a crockpot. Add the bacon and browned hamburger and onions. Stir to combine. Cook on low for 3-4 hours. Serve topped with a slight sprinkle of brown sugar, cheese, and a spoonful of salsa. You are welcome Tami! Throw it in and go: Yea! Looks yummy. Will have to give them a try. Tracey, what do you think about cutting the sugar in half? Would you recommend halving each, or just adding the brown sugar? I can’t have much sugar, so looking for the best method of cutting it back here. THanks! Oh yea!!! I’m so glad it could be adapted and that you liked them:). It is a slow feel good meal. Thx for the report back. You are the best!! Just put this in the crockpot! Thanks for sharing your recipes! Yea! You are going to love these beans Christie:). What a yummy Sunday dinner! 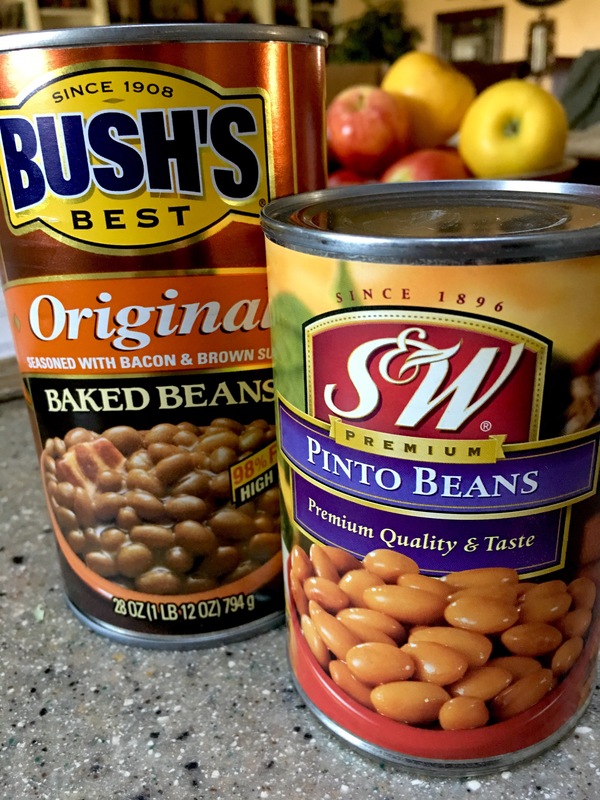 How did the beans turn out Christie?